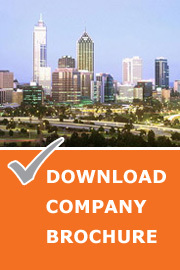 Valuations WA is an independent Perth Property Valuation and Real Estate Consultancy company. Located in suburban Osborne Park our office provides property valuations and real estate advice across Western Australia, with professionalism, accurately, efficiently and at a competitive rate. Our Valuer's have a wealth of experience and are all Certified Practicing Valuers and members of the Australian Property Institute. We are able to provide our clients with advice and expertise on a diverse range of property transactions, including strata titled building insurance, unit entitlements, taxation and stamp duty valuations. Family Law Valuations, Capital Gains Tax and Retrospective Tax Valuations for Accountants, Stamp Duty/Related Party Transfer for Office of State Revenue/Settlement Agents and Strata Building Insurance for Body Corporates for Strata Managers, SMSF Valuations for Taxation and Auditing Purposes are a few areas we specialise in. Talk to anyone of our valuers, the contact numbers are in the Key People menu bar on this site, or send us a Email Query in the Contact Us section above. Valuations WA offer an accurate, professional service to cater for your requirements. Our Perth Property Valuers are fully registered associate members of the Australian Property Institute (API) and are Licensed Certified Practicing Valuers (CPVs). We have completed all the specific training and work experience necessary as set out by the Australian Property Institute (API) and on a day to day basis provide property valuation advice to our clients. We at Valuations WA do not sell real estate or act as property sales agents. We provide unbiased and independent property valuation and advice without fear or favour. Valuations WA always acts in your best interests. Valuations WA ensures complete confidentiality to all clients. As government registered licensed property valuers and associate members of the Australian Property Institute (API) we adhere to the API's Code of Professional Practice, Code of Ethics and Rules of Conduct. Our Perth Property Valuers undertake Continuing Professional Development (CPD) studies through the API regularly. Valuations WA staff are trained and have the local experience necessary to provide each client with a reliable answer to their property valuation questions. Our ongoing training program ensures our business develops with the times and is at the forefront of technology, specifically those which improves and enhances our high service level to our clients. "Independent Property Valuers - Real Estate Consultants"